1.Available for: doors frames (sliding doors, solid doors, PVC doors), windows, shutters, wardrobes, etc. 3.Avoiding insects (mosquito), dust, water (moisture), wind leakage, noise, etc. the good elasticity/ flexibility and anti-deformation. Excellent weather ability, anti-aging resistance, anti-weather, anti-ozone, anti-wearing resistance and chemical resistance. 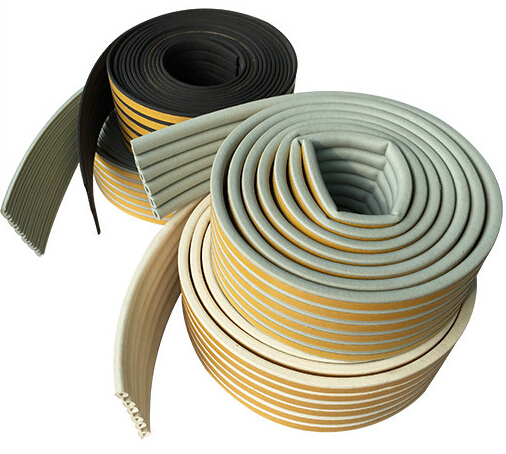 4 Excellent sealing performance, shock-proof, heat insulation and sound insulation performance, Stops heat, cold, draughts, dust, insects, noise and rain. Inner packing is plastic bag and outer packing is export standard carton. Special packing can be designed according to customer’s requirements.